On the day that you arrive in Japan, you can immediately make use of your 14-day Japan Rail Pass by exchanging your voucher at the JR Ticket Service Center found at Narita Airport (there is one at Terminal 1 and another at Terminal 2). Use it to reserve a seat on the Narita Express to Tokyo. You can spend your first whole day in Tokyo by visiting some of its most popular districts. Use your JR Pass to access places that are easily reached via the JR lines. 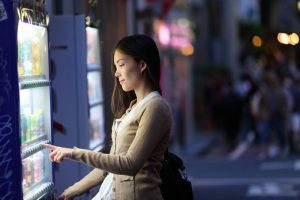 For example, spend an entire morning in Shinjuku (Shinjuku Gyoen, Central Park and Tokyo Metropolitan Government Building), the afternoon in Harajuku (Meiji Shrine, Yoyogi Park, Omotesando and Takeshita Dori), and the evening at the Tokyo Skytree, all of which are located about 5 to 20 minutes by foot from the closest JR train stations. If you are a Disney fan, spending an entire day at the Tokyo Disneyland and DisneySea is a must. The parks are just a 16-minute train ride away via the JR Keiyo Line from Tokyo Station to Maihama Station (covered by JR Pass), where you can either transfer to the Disney Resort Monorail (not covered by JR Pass; single ticket costs 260 yen) to reach both parks, or walk about 20 minutes. 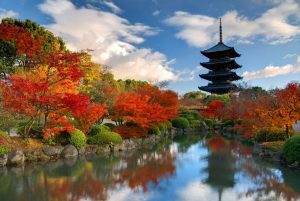 Home to some of the best historical sites in Japan, Kyoto is a common itinerary stop for people visiting the country. It is only a 2.5 hour Shinkansen ride from Tokyo Station to Kyoto Station and is covered by the JR Pass. Once in Kyoto, you can start your exploration with a visit to the Kyoto Imperial Palace and Nijo Castle, both of which are located in the city centre. For a full-day Kyoto itinerary, you can kick it off with an early morning visit to the Fushimi Inari Shrine (a round trip climb takes between 2 and 3 hours). Then spend the rest of the day checking out the UNESCO World Heritage shrines and temples, such as the Ginkakuji (Silver Pavilion), KInkakuji (Golden Pavilion), Kiyomizudera Temple, Ryoanji Temple, Tenryuji Temple, Ninnaji Temple and Daigoji Temple. Not too far from Kyoto is Nara, which is another ancient city with an abundance of historical landmarks. With your JR Pass, you can take the JR Nara Line from Kyoto to Nara and be there in just 1 hour. You can start your tour of the city with a visit to the Nara Park, which is only a 20-minute walk from Nara Station. 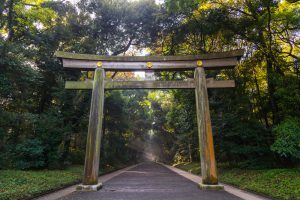 Many of the city’s main sites, such as the Todaiji Temple, Nara National Museum, Kofukuji, and Kasuga Taisha, are found around the park and are easily accessed by foot. 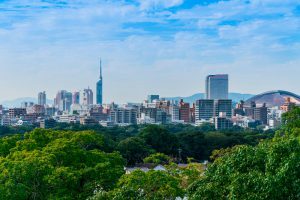 To explore farther south, head to Fukuoka by taking a Shinkansen from Kyoto Station to Shin-Osaka, and then transfer to another Shinkansen to Hakata Station, which is the busiest and largest train station in the southernmost island of Kyushu. The entire trip takes 3.5 hours and is covered by the JR Pass. If you leave Kyoto in the morning, you will be in Hakata by mid-afternoon and have sufficient time to check out Canal City, a large entertainment and shopping complex, and try the acclaimed local dish, Hakata Ramen. With a full day to spend in Fukuoka, you can spend a couple of hours in the morning at the Fukuoka Castle Ruins. 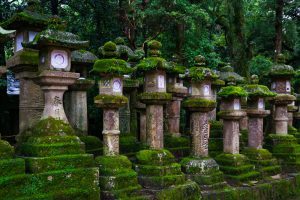 Then head to Dazaifu, a small, quaint town that is home to various ancient shrines and temples, including the Dazaifu Tenmangu Shrine, Kanzeonji Temple and Komyozenji Temple. To get to Dazaifu from Hakata Station, take a JR Kagoshima Line train to JR Futsukaichi Station. The journey takes about 20 minutes and is covered by the Pass. Then, take a 10-minute walk to the Nishitetsu Futsukaichi Station and get on a train to Dazaifu Station (takes 5 minutes and is not covered by JR Pass; single ticket costs 150 yen). 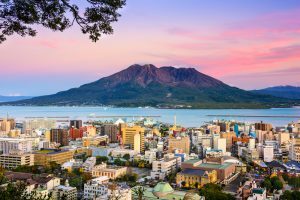 Home to Sakurajima, a towering, active volcano, Kagoshima is the capital of Kagoshima Prefecture and the most important city in this part of the country. The central area of the city has a number of attractions, like the Kagoshima Aquarium Reimeikan Museum and Senganen Garden. From Hakata Station, take a Shinkansen to Kagoshima-Chuo Station and then transfer to the JR Nippo Line to Kagoshima Station. The one-way trip takes less than 2 hours and is covered by the JR Pass. With an entire day to spend in Kagoshima, take your time exploring Sakurajima and its surroundings. There is a ferry port near JR Kagoshima Station where you can board a ferry for a 15-minute ride (one-way ticket costs 160 yen, not covered by the Pass) to Sakurajima. The island offers panoramic views of the volcano and the surrounding bay, as well as a scenic hiking trail around the lava zone, a magma onsen, a dinosaur park and a couple of observation decks. To go from Kagoshima to Hiroshima, take the JR Nippo Line to Kagoshima-Chuo Station, and then transfer to a Shinkansen going to Hiroshima Station. The trip is about 3 hours long and fully covered by the JR Pass. 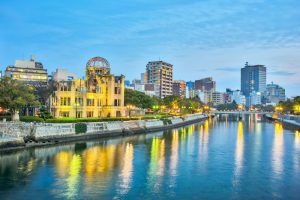 Once in Hiroshima, visit Hiroshima Memorial Peace Park, Hiroshima Castle and the shopping arcade found in the downtown area. 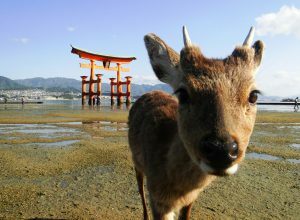 Less than 1 hour from Hiroshima by ferry (JR ferry is covered by the JR Pass), Miyajima is an island notable for a big torii gate that seems to float on water during high tide. If you get there in the morning, you can visit the Itsukushima Shrine, Daisho-in Temple and Senjokaku, and then spend the afternoon climbing to the peak of Mount Misen. Use your JR Pass to take a 2-hour Shinkansen ride from Hiroshima to Osaka, Japan’s second biggest city. It has tons of tourist attractions to offer, from historical sites (Osaka Castle, Shitennoji Temple and Tenmangu Shrine) to entertainment and shopping destinations (Universal Studios, Grand Front Osaka, Umeda and Namba). To return to Tokyo, take a Shinkansen from Shin-Osaka Station. The trip takes about 3 hours and is fully covered by the JR Pass.